Trending at $445.86eBay determines this price through a machine learned model of the product's sale prices within the last 90 days. 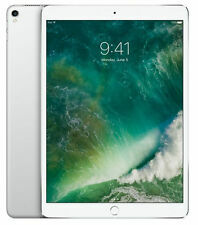 Apple iPad Pro 3rd Gen. 512GB, Wi-Fi Cellular (Unlocked), 12.9in - Silver. Open box but brand new inside never used, brand new charger, warranty till January 31,2020. Retail $1499 tax. Free shipping with USPS Priority Mail. Apple iPad Pro 2nd Gen. 512GB, Wi-Fi, 10.5in - Gold (CA). Condition is New. Shipped with USPS Priority Mail. And the new Apple Pencil and Smart Keyboard Folio help you be even more creative and productive. ² It will make you rethink what iPad is capable of - and what a computer is capable of. Apple iOS 12. New ListingNEW Apple iPad Pro 3rd Gen. 512GB, Wi-Fi, 12.9in - Space Gray - FACTORY SEALED!! Trending at $579.99eBay determines this price through a machine learned model of the product's sale prices within the last 90 days. Apple iPad Pro 2nd Gen. 512GB, Wi-Fi, 10.5in - Silver- Keyboard & Case Bundled! 2nd Gen (bought new in November 2017). Excellent condition Apple iPad Pro! No problems, runs perfectly. You'll be very happy with this iPad! 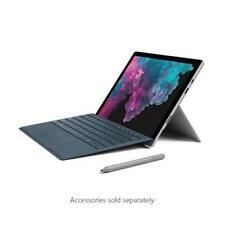 4.5 out of 5 stars - Apple iPad Pro 2nd Gen. 512GB, Wi-Fi, 10.5in - Silver- Keyboard & Case Bundled! 6 product ratings6 product ratings - Apple iPad Pro 2nd Gen. 512GB, Wi-Fi, 10.5in - Silver- Keyboard & Case Bundled! With no signs of defects. There is NOT an iCloud Account bonded to the iPad. All other functions have been tested to work 100%. 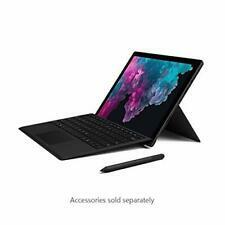 Microsoft Surface Pro 3 12” tablet i7-4650u cpu 8G ram 512GB storage. The tablet is fully tested and is good working condition. Condition is Used (Pristine.no visible signs of use). Apple iPad Pro 2nd Gen. 512GB, Wi-Fi, 10.5in - Rose Gold (CA). Condition is Used. No Find my iPad. Ready to use for WiFi or Cellular if you choose. U pdated andRunning iOS 12. Storage 512GB SSD. Model HP Elite x2 1012 G2 Tablet (A). Manufacturer Hp. Accessories, options, and other features shown in the photo may not be included with the actual product. Product Details. Does not include original box. Apple 10.5" iPad Pro (512GB, Wi-Fi, Space Gray) MPGH2LL/A. This 64-bit chip can pump out desktop-class CPU performance and console-class graphics. The faster performance allows you to multitask with ease, using iOS 10 features, such as Picture in Picture, Slide Over, and Split View. 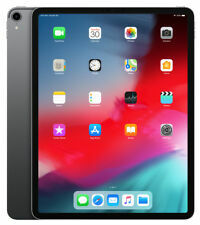 What is Included: Apple iPad Pro - 12.9", Wi-Fi, 512GB - Space Gray (Latest Model) MTFP2LL/A. 4G LTE, 802.11ac Wi-Fi, Bluetooth 4.2. Apple A10X SoC with M10 Coprocessor. Lightning Connector, Smart Connector. International Policy. Capacity: 512GB. Color: Space Gray. Carrier: WiFi Cellular (any carriers). This unit has been thoroughly inspected and tested by our in-house, factory certified-trained technicians. We also verify that the serial number matches the original invoice and any item that does not match, will not be accepted. Apple iPhone XS Max. Apple iPhone XS. Apple iPhone X. Apple iPhone 8. Apple iPhone 8 . Apple iPhone 7. Apple iPhone 7 . Four speaker audio. Apple A10X SoC with M10 Coprocessor. CPU Apple 64-bit CPU Hexa-Core. In The Box. International Policy. Audio 4x Integrated Speaker. USB Power Adapter. Lightning to USB Cable. Brightness 600 cd/m².